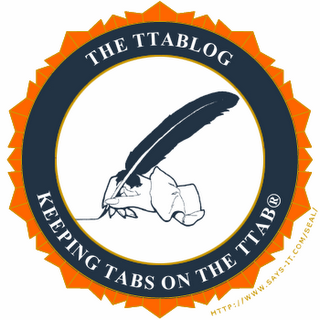 The TTABlog®: TTABlog Celebrates 14th Anniversary! The TTABlog was launched on November 8, 2004, with a blog post entitled "Leo Stoller Loses Again" (here). Remember him? Here we are, thousands of blog posts (and more than 10,000 tweets) later. Thank you to all you readers! Greetings from INTALM in New Orleans! Congratulations, John, for publishing your valuable and informative blog for these past 14 years. It's a daily must-read, and the trademark practitioner community would be immeasurably poorer if there were no TTABlog. Keep up the good work! Congrats to a daily read! Wow! Congratulations on creating and sustaining this indispensable service. You keep us -- and the TTAB -- on our toes. Congratulations and thank you for this invaluable resource! Yes I remember Stollar because he posted a warning on his web site not to use my services. Congratulations on 14 years and 14 more years. Congrats John, we read every post, religiously. Thanks for sharing. Thanks for your blog. It's a great resource for tracking the TTAB. Please keep going for many years.